This is classed as a creatine blend; it contains multiple types of creatine to assist in a quicker absorption rate into the body than traditional creatine monohydrate. It is also designed for less water bloating. It has a key role of recycling and restoring adenosine tri-phosphate (ATP) levels which is the vital energy source for muscle cells during muscle contractions. As a result, this increased energy stimulates protein synthesis, increasing muscle strength and size whilst also improving recovery. 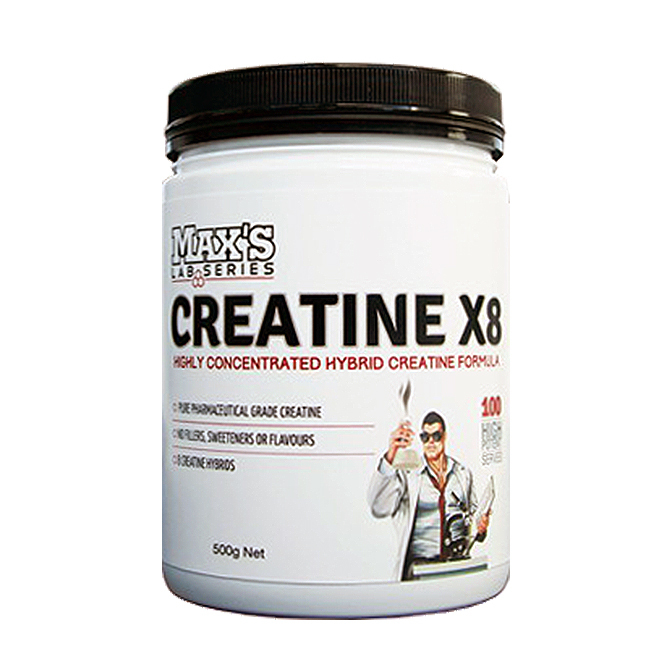 Max’s Lab Series Creatine X8 contains 8 different forms of creatine which are combination of both fast acting and sustained release. 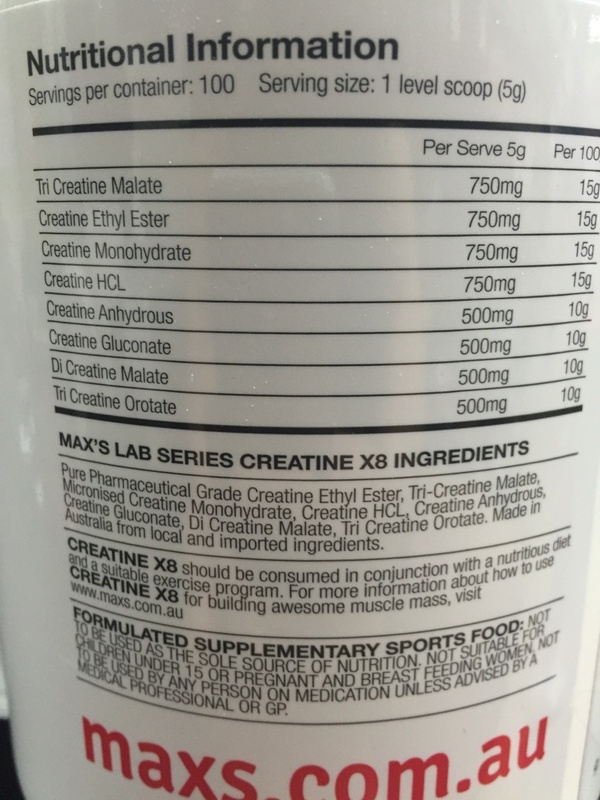 The different types of creatine have varying absorption rates and different entry point to the muscles. This provide powerful muscle gains and optimal energy. Creatine is utilised by muscle cells to store energy for explosive workouts including weight training or sprinting. This product will optimise the muscles storage for creatine. Creatine is naturally produced by the body and is found in small quantities in animal products. The body stores creatine until it is required to create ATP (Adenosine Triphosphate) which is the substance used to manufacture energy. Creatine is often utilized during a high intensity exercise to enhance physical performance and increase muscle protein synthesis. Creatine doesn’t cause an increase in muscle fibre however, it does increase the water content of muscles making them appear larger. Over time, creatine can cause real fat free mass because of its strength building properties. Use 1 (one) scoop 30 minutes prior to work out and also after workout.